I do love how both the blue and yellow pop! such a fun pattern, would love to make one too! Echoing everyone else's sentiments - the colors are fantastic! I saw a few others on Flickr... this pattern is pretty cool - kind of modular no? Thanks for sharing! Fabulous! I love both versions! Julie's blog is new to me! I'm off to check it out! Beautiful pattern! I'd love to make this! Awesome quilt! Honestly, I'm afraid of curves but I'd sort of like to try. Actually I have tried before but feel like I REALLY don't know what I'm doing. Thanks for the chance. 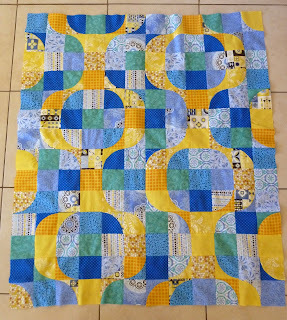 This is a fantastic quilt pattern! Thanks for the chance to win it and try it out. Such a fun pattern! I love curves! Wow!! 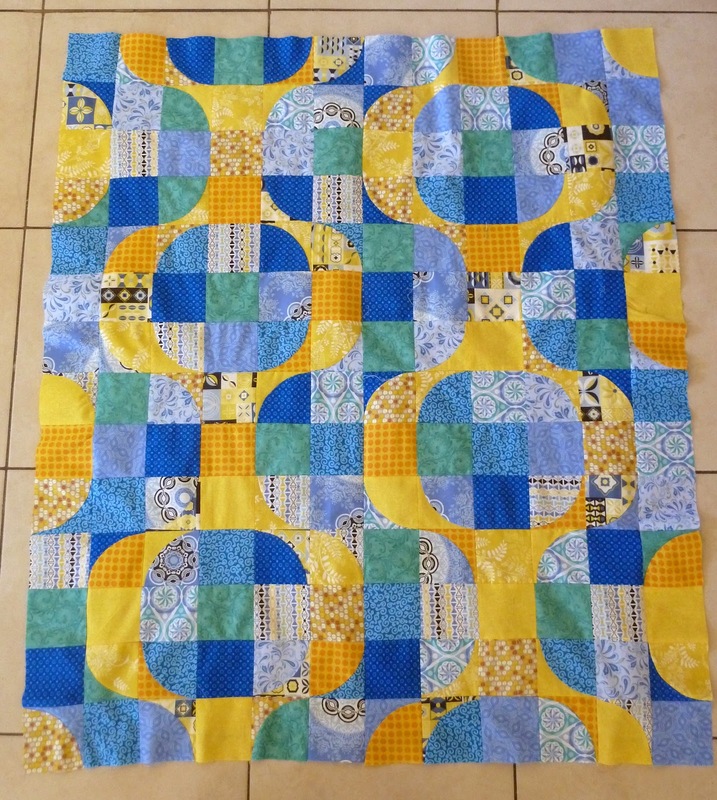 I really love this quilt pattern!! 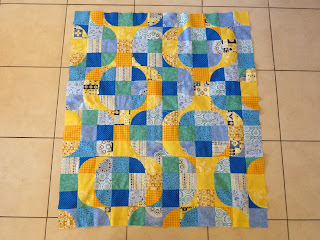 You did a beautiful job and your blue nad yellow fabrics are wonderful. Woah! For reals? I love that quilt pattern. And your tester in blue and yellow makes it pop! Really cute pattern! Thanks for sharing!! I love the curvyness of it! Great quilt! The blue and yellow is beautiful, my favourite combination! Great quilt pattern too. This looks great! I have no idea what colors I would use if I won the pattern...! 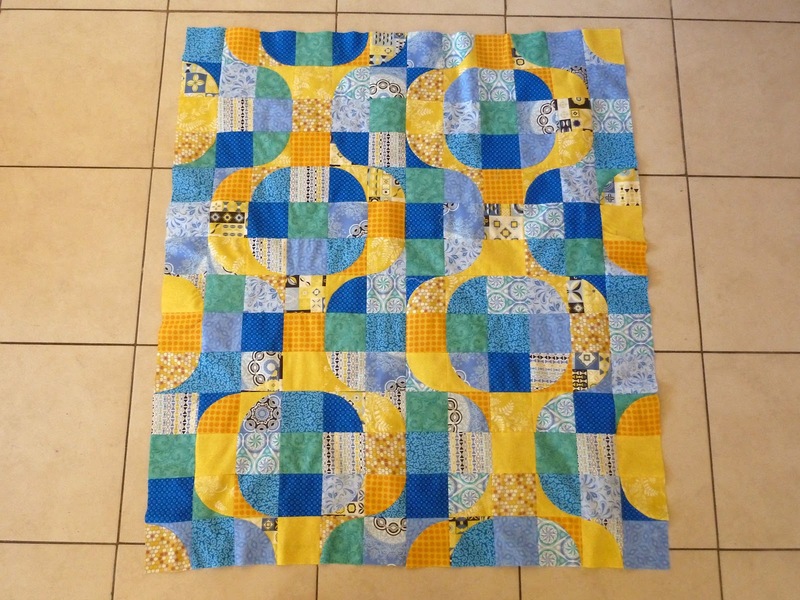 You did great job.The quilt is just beautiful and love your fabrics combo. Your quilt is lovely -- great color choices! LOVE this pattern! You were so lucky to be a pattern tester. Thanks for the chance to win! Fingers crossed... fingers crossed... hope I win... hope I win... Love your color choices. Julie definitely has a winner there. Now I'm stalking all of you who finished so that I can win the pattern and seeing a lot of purdy quilts! You were so lucky to be a pattern tester! I'd love to win a copy of Julie's pattern. Beautiful. I love the modern look but with the traditional piecing. Great combination. Looks like a really great pattern. Love the design. I love this pattern. Yours turned out fantastic! I messed my comment up so I am putting it here I hope it works. I love the pattern it is really modern. I would like to make it for my daughter. Thank you for the chane. I had made Bree's pattern and would love to give this one a try next! ;) Yours turned out beautiful! Fab pattern. Would love to make it. Love this pattern. Haven't tried curves yet, but they seem doable here. Thanks! JUmping over from Julie's blog--hoping to score! Your color choices are fab--I think this pattern might be a winner in any color combo! Totally dig this pattern and your color choices are groovy. This is just GORGEOUS!! I would love to give this a try.